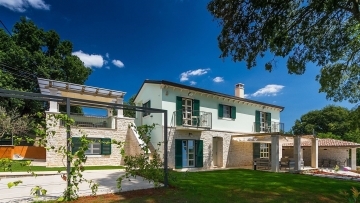 Villa near Porec. This beautiful villa can be built according to your request, the construction is planned on a beautiful plot in a quiet location. Included in the price is a turnkey house on a beautiful plot with pool and landscaped garden.